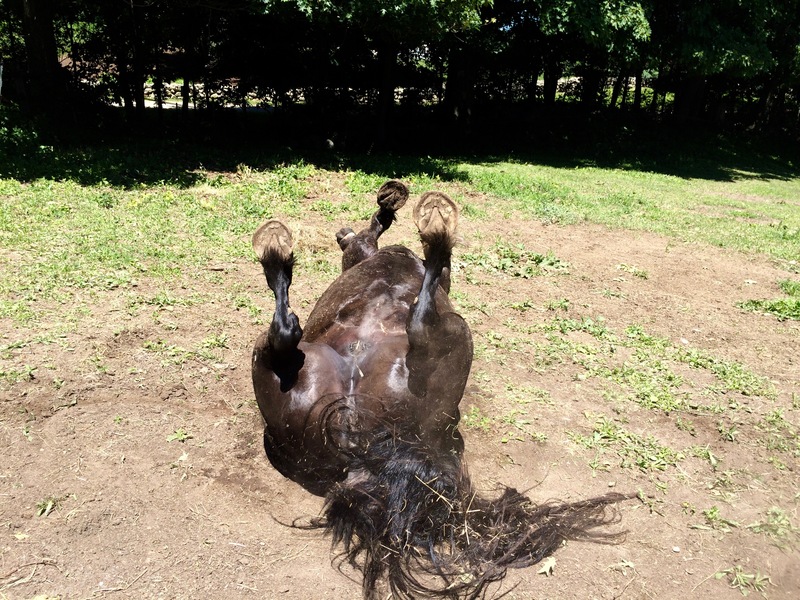 There is something ridiculous about a horse rolling. Even more ridiculous is a horse lying on its back with its feet in the air! My horses love to roll, especially Zelda, who will drop to the ground seconds after I remove her saddle (and I am always quick about it). But the folks who shot this video have a horse that lies like this all the time! Zelda enjoys a good roll. She doesn’t realize how undignified she looks! 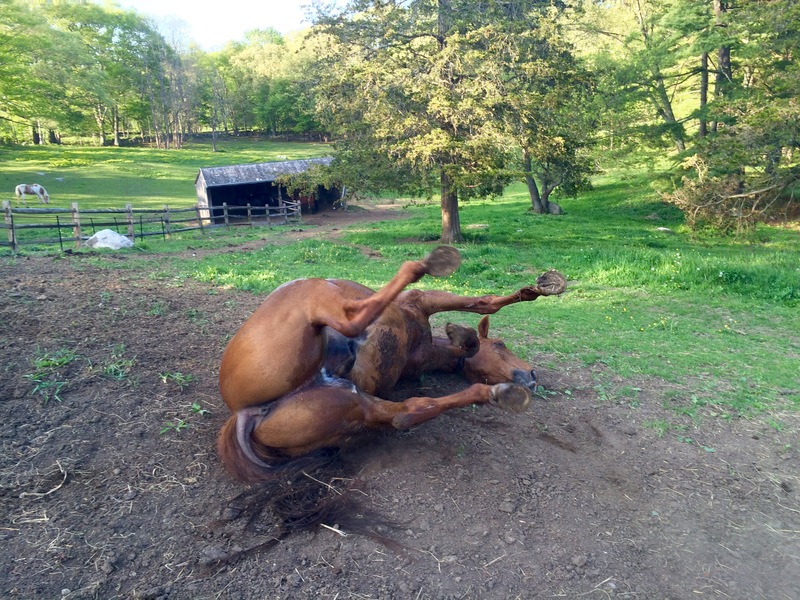 Freedom enjoys rolling after a ride. His favorite spot is at the top of the hill where it’s sandy. What about your horses? Do they enjoy rolling? I think that the fact that Pinto can say just like a cow is even more impressive, than laying around like a dog.